At Pro-Lock and Safe, we strive to provide our customers with an excellent level of service that’s simply unmatched by others in our industry. If you’re looking for a locksmith in Delaware who will take great care of you regardless of the situation that you’re in, look no further. Our goal is to go above and beyond for the residents of our great state. 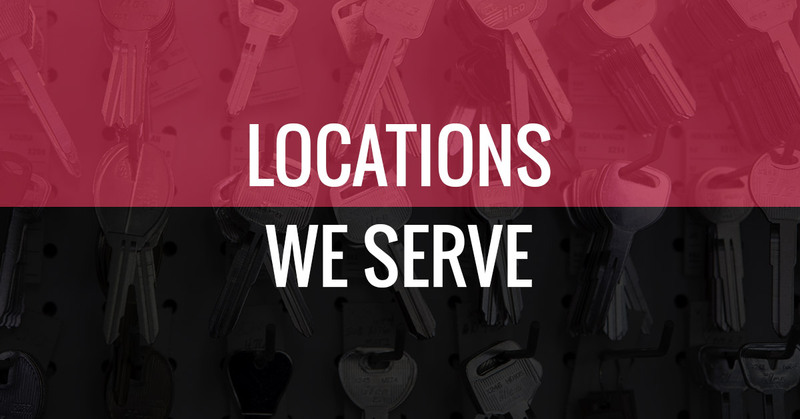 Whether you need a locksmith in Dover, Magnolia, Smyrna, Harrington, Felton, Wyoming, Camden, Houston, Viola, Frederica, Delmar, Selbyville, Lewes, Rehoboth, Long Neck, Georgetown, Milford, Seaford, Bethany Beach, Laurel, Greenwood, Dagsboro, Millsboro, Milton, or Ocean View, you can always rely on us to take great care of you. As your local 24-hour locksmiths, we’re able to help whether you locked your keys in the car and need us to get you back in or you need the locks rekeyed at your home or business. We even work on safes! That’s right--if you have a safe that you need opened or a combination changed, we would be glad to help. What happens when you come home at the end of a long day and realize that you locked your keys in your home and have no other way of getting in? You call us, of course! It’s not a situation anyone wants to be in, but when it happens, it’s good to have a team you can count on. At Pro-Lock and Safe, we’d be happy to make your emergency our biggest priority. Just reach out to us and we’ll let you know an estimated time for our arrival as well as a free quote for the work we’ll be doing so you know exactly what to expect. You head out to your car when the work day is over and reach for your keys. As you search, you take a peek into your car and see that they’re sitting on the passenger seat. Unfortunately, the door is also locked. What to do? Count on us to be there in your time of need! It’s bound to happen to everyone at some point or another. If it happens to you, don’t panic. Instead, reach out to our team who will make it a point to get to you as quickly as possible so you can get back to your day. We’ll let you know when to expect us and give you an estimate for the work that needs done. Whether you own a restaurant in Milford, a bakery in Ocean View, or a retail store in Dover, there will inevitably come a time when you need a locksmith. Perhaps you need your locks rekeyed. Maybe you’re looking for someone to install a safe so you can keep your money secure between deposits. Whatever your reason for needing a commercial locksmith, you can count on the team at Pro-Lock and Safe to take great care of you. Give us a call any time to set up an appointment and we’d be glad to help you make your business a better place to work! Whether you’re in the market for a used safe for your home or you already have a safe and need it opened, we can help you out. We can even help you to change the combination to something that’s a little easier for you to remember! At the end of the day, we believe that every home should have a safe and we’d be glad to help you find the perfect one to suit your needs. We are proud to offer safe sales, service, and installation in Delaware. In short, if you’re looking for someone to help you out with a safe, you can put your trust in us to take great care of you. With over three decades of experience in our industry, we’ve pretty much seen and done it all. That’s not to say that we’re not still learning, however. As a matter of fact, there’s nothing we love more than honing our skills and getting better at our craft. It’s why we are continuing our education on all things lock-related. We strive to provide our customers with the best service possible; it’s a bit of a bonus for everyone involved that we truly love what we do for a living and you can learn more about us here. We’re licensed, bonded, and insured to do our work in the state of Delaware and we wouldn’t have it any other way. There’s nothing we love more than striving to be the best of the best. Unfortunately we’ve heard quite a few horror stories about people working with shady locksmiths who have taken advantage of people in their time of need. That’s not how we do things. Our goal is to always put our customers first. That’s why when you call us, we’ll provide you with a timeframe for our arrival and we’ll even give you a free estimate so you know exactly what to expect once we’re on the scene. Excellence in everything we do is our highest priority and we’d love nothing more than to come to your rescue when you need help the most. Regardless of the situation--or your location--we’ll take great care of you. We proudly serve Dover, Magnolia, Smyrna, Harrington, Felton, Wyoming, Camden, Houston, Viola, Frederica, Delmar, Selbyville, Lewes, Rehoboth, Long Neck, Georgetown, Milford, Seaford, Bethany Beach, Laurel, Greenwood, Dagsboro, Millsboro, Milton, and Ocean View, so if you’re in our neck of the woods, don’t hesitate to give us a call. We look forward to hearing from you!